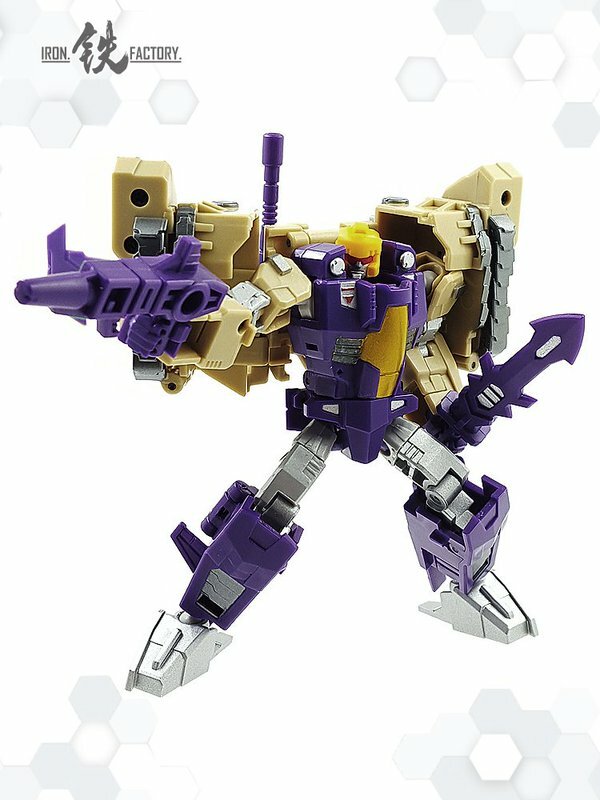 3rd Party company, Iron Factory has updated their twitter feed this morning with colored and painted photos of EX-13 Blizzard which is their take on Blitzwing. Blizzard is a legends scale figure that stays true to the homaged character with the capability of triple changing from robot to tank and jet. ETA for this figure is April which you can preorder from many of our site’s sponsors. Are you excited for this legends figure to help populate your Titan Returns base/city ‘former? Discuss after the jump! The post Iron Factory EX-13 Blizzard (Blitzwing) Color Images appeared first on Transformer World 2005 - TFW2005.COM. 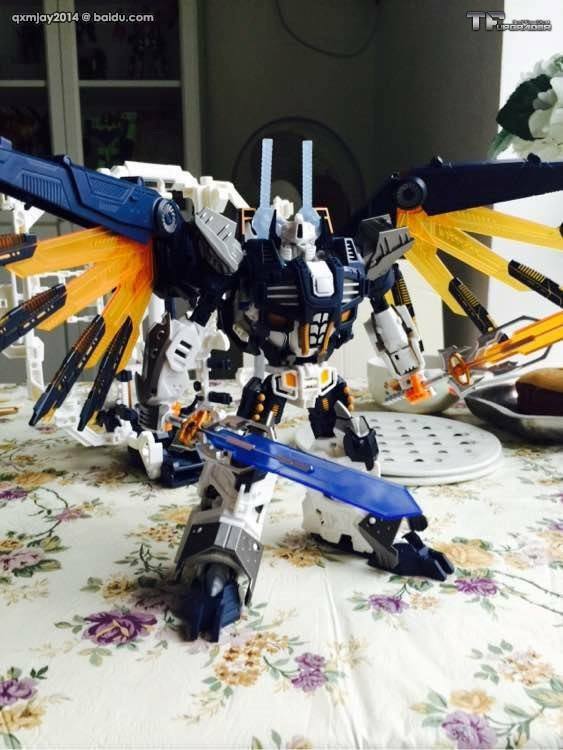 In Hand images of Mastermind Creations Seraphicus Prominion! 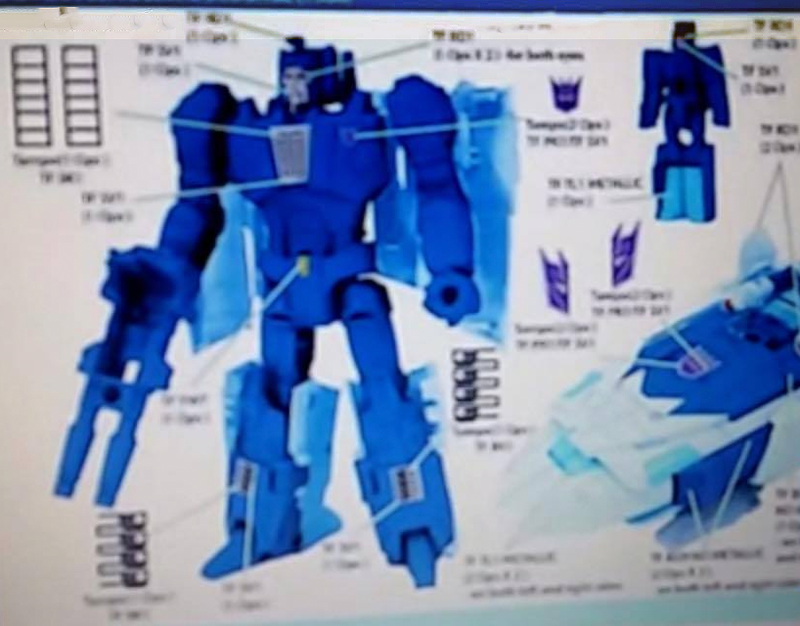 Well look what we have here folks via TF Upgrader’s Facebook Page!! Coming out yesterday and taking everyone surprise is the latest in Mastermind Creations Reformatted line, and perhaps, one of it’s most anticipated figures yet, Seraphicus Prominion. Originally slated for an April release, this figure seems to have come out a bit early in limited numbers via Planet Steel Express, and has made it’s way into vareious fans hands in Asia. Apparently the orange blade is exclusive to PSX and is only available to those who order the combo including Seraph, and the trailer together as long as » Continue Reading. 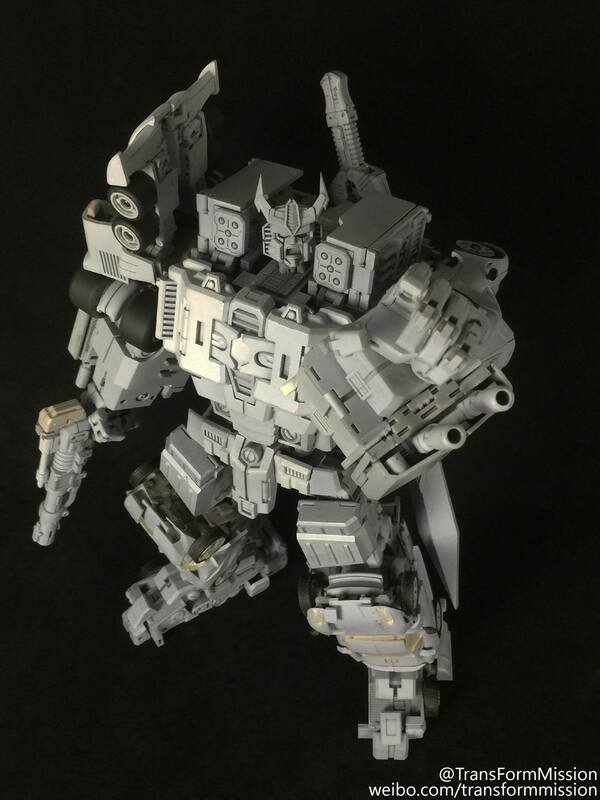 The post In Hand images of Mastermind Creations Seraphicus Prominion! appeared first on Transformer World 2005 - TFW2005.COM. 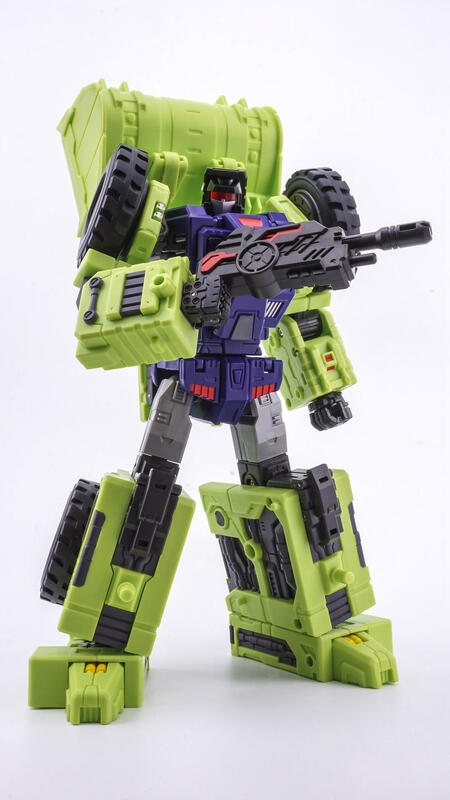 Over the course of the past 24 hours or so we’ve received a wealth of new images for ToyWorld’s Constructor project, an unofficial take on Devastator. The first update we have is what looks to be final, in-hand images of Bulldozer (AKA Bonecrusher) and Unearth (AKA Scavenger). There have been some details changed since our last test-shot images report, such as the lack of chrome detailing. There are several comparison pics included with this update to give us a sense of just how massive this project will end up being. The second update reveals colored images of Concrete (AKA Mixmaster) and » Continue Reading. The post ToyWorld Constructor Update With Color Images Of Concrete & Shovel appeared first on Transformer World 2005 - TFW2005.COM. Snakas on Autobase Aichi has just given us our first full looks at Takara’s upcoming Transformers Adventure TAV-38 Thunderhoof and TAV-39 Quillfire! These are the Japanese versions of Hasbro’s two recently-released Robots in Disguise Warrior class figures, featuring many added paint applications. These pictures show them off in both their robot and vehicle modes. Will you be splurging for these these, or will you stick with the Hasbro releases? Let us know on the boards! The post Takara Transformers Adventure Thunderhoof & Quillfire Fully Revealed appeared first on Transformer World 2005 - TFW2005.COM. 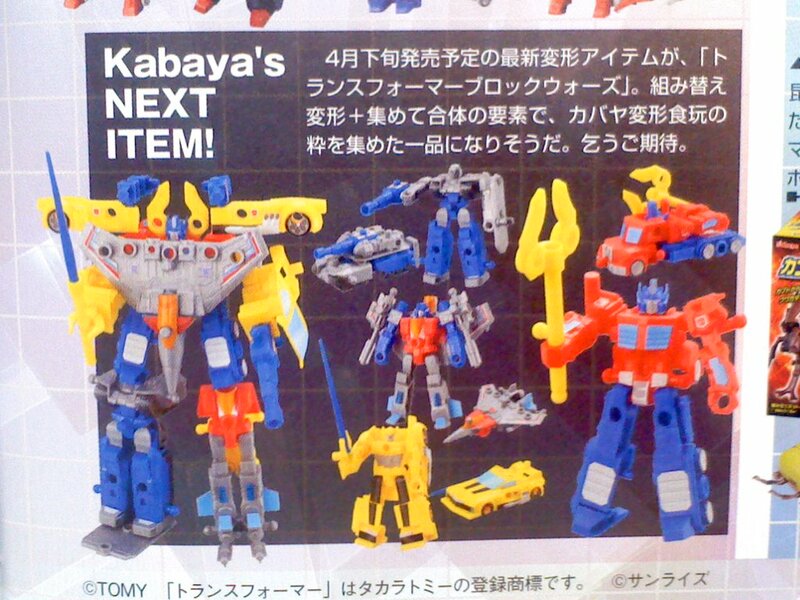 Thanks to the Twitter page of p2099, we’ve received an image showing off four new Kabaya Candy model kits: Optimus Prime, Bumblebee, Megatron, and Starscream. These Kabaya releases seem to be resembling, or at least inspired by, the short lived and hard to find Cyber Battalion figures. These four figures take it a step further though by being able to combine! Yes that’s right, a combiner consisting of Optimus Prime, Bumblebee, Megatron, and Starscream is reality. We will update you as more news breaks! Check out the image after the jump. The post Kabaya Candy Optimus Prime, Bumblebee, Megatron, and Starscream Combiner appeared first on Transformer World 2005 - TFW2005.COM. We are still days from Masterpiece Ironhide‘s official release date, yet the next Masterpiece release is already coming off from the line. 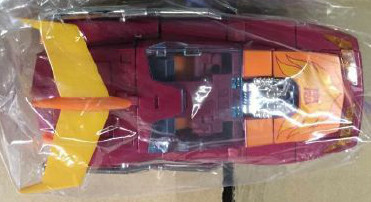 Via MOMO模玩‘s Weibo page, we have an image of a production sample of Masterpiece MP-28 Hot Rodimus. 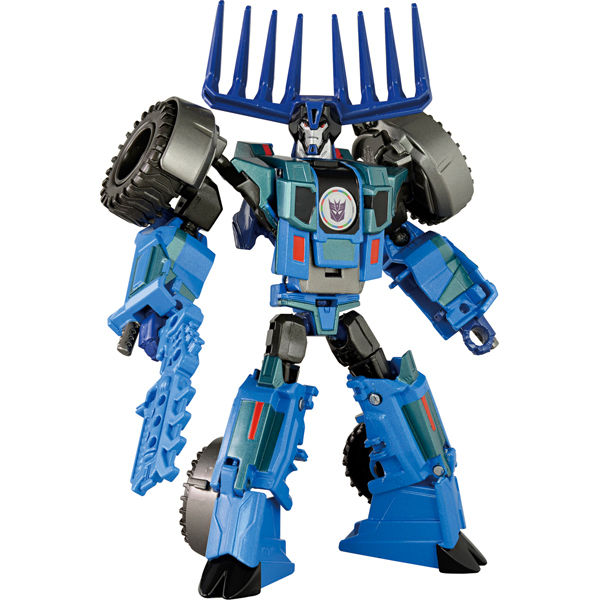 From this single image we can see the MP-28’s colors in vehicle mode and also some of the accessories, like the saw blade and the fishing rod, shown in the official release announcement. The originator of this Weibo post also stated that the facility the manufactured this piece is located in Vietnam. Checkout the full image after the break, and » Continue Reading. The post TakaraTomy Transformers Masterpiece MP-28 Hot Rodimus Production Sample Image appeared first on Transformer World 2005 - TFW2005.COM. Rounding out our galleries of the Combiner Wars Combaticons, we have a look at the member of the team who’s arguably transcended his identity as a Combaticon and become a full-on character in his own right. We are talking about the one and only Swindle! Swindle is a very nicely done toy. He’s a remold of Protectobot Rook – and he’s one of those remolds where so much has been redone that you can still just about see the original toy in there, it transforms the same way, but ultimately, it looks completely different unless you look really hard » Continue Reading. The post Combiner Wars Swindle In-Hand Gallery appeared first on Transformer World 2005 - TFW2005.COM. The wait will soon be over for those of you waiting to find the Combiner Wars G2 Superion gift set! Boards member AutobotMirage just found one today at a Toys R Us store in Amherst, New York for $99.99. Happy hunting and don’t forget to post your sightings in our Transformers sightings forums! 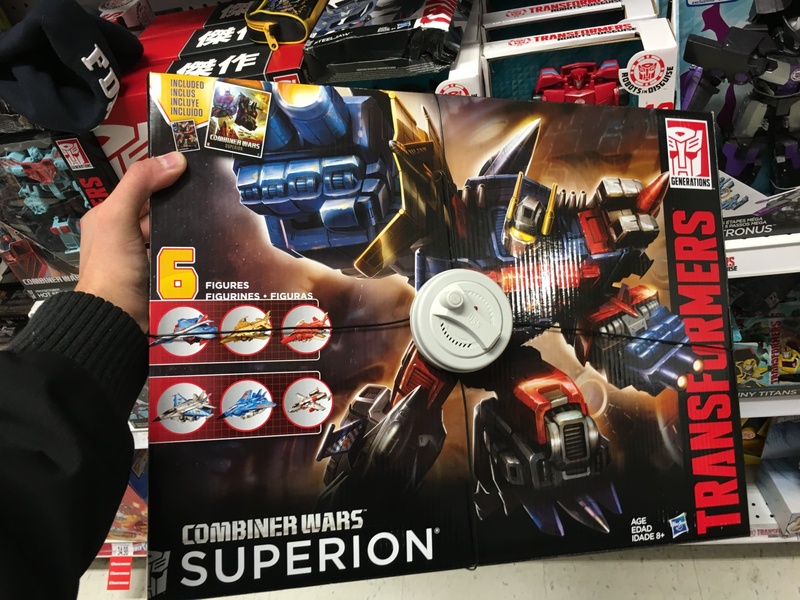 The post Combiners Wars G2 Superion Sighted At US Retail appeared first on Transformer World 2005 - TFW2005.COM. 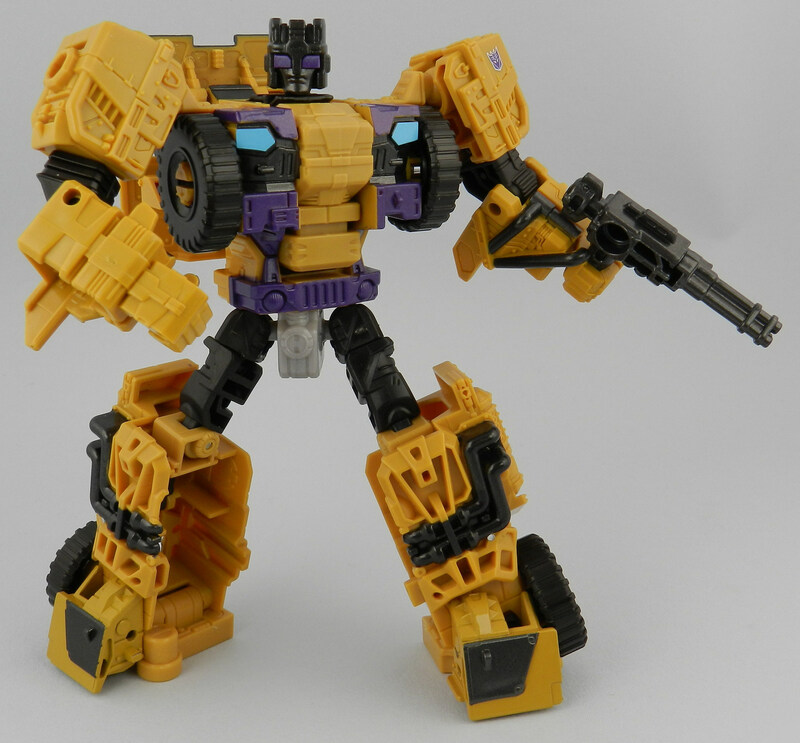 Third-Party company TransFormMission has finally released shots of all five Stunticons combined to form their version of Menasor. This is our first look at the entire team. This version of Menasor has a decidedly IDW slant as it is virtually identical to the IDW iteration of the character. It is beyond impressive that a company can take a comic book depiction of one of our favorite combiners and turn it into a reality. This project appears to be Masterpiece-scaled and include rubber tires, individually articulated combiner hands, an optional “screaming face” for Menasor, as well as a suitably imposing size. As of yet, » Continue Reading. The post TransFormMission M-01 Complete Combiners Pictures appeared first on Transformer World 2005 - TFW2005.COM. Nuremberg International Toy Fair 2016 Day 1 is at an end. But, before the doors are closed, we received a word from Simba-Dickie regarding their upcoming Transformers: Robots In Disguise toyline for Europe and Asia (Japan excluded). The new vehicle line made its debut at the toyfair today, following the previous announcement. 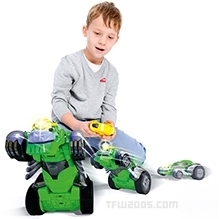 Transformers: The extraordinary action heroes in the toy market Dickie Toys has entered into a licensing agreement with Hasbro for the world famous “TRANSFORMERS” brand. Dickie Toys will develop and market a wide range of different vehicles, including RC, diecast, light and sound vehicles and play sets. » Continue Reading. The post Nuremberg 2016: Simba-Dickie Transformers: Robots In Disguise Toyline Press Release appeared first on Transformer World 2005 - TFW2005.COM. Following the end of the Transformers: Robots In Disguise tie-in Comic Book series, IDW will run a series of Comic Books adapting the current animated series. This move should not come as a surprise since IDW did exactly the same for the Transformers: Prime animated series as well. If the new series follows the old format, we will see a comic book designed by arranging screenshots from the show with added speech-bubbles. 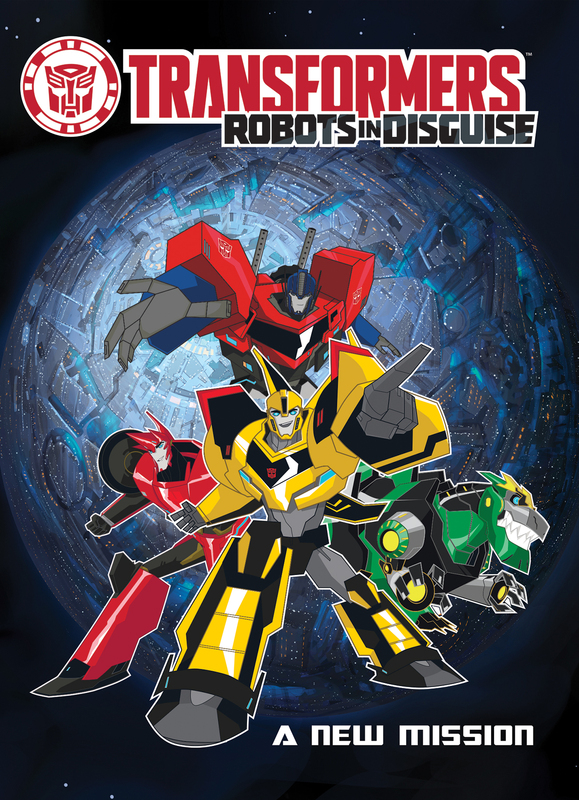 We received more info from IDW: Transformers: Robots in Disguise: A New Mission Price: $7.99 136 pages 5″ x 7″ 978-1-63140-501-3 Format Print – Trade Paperback Description: A new » Continue Reading. The post Transformers: Robots In Disguise Animated Series To Be Adapted To A Comic Book appeared first on Transformer World 2005 - TFW2005.COM. Thanks to Amazon UK, we’ve been pointed to IDW trades that are up for pre order releasing this July. 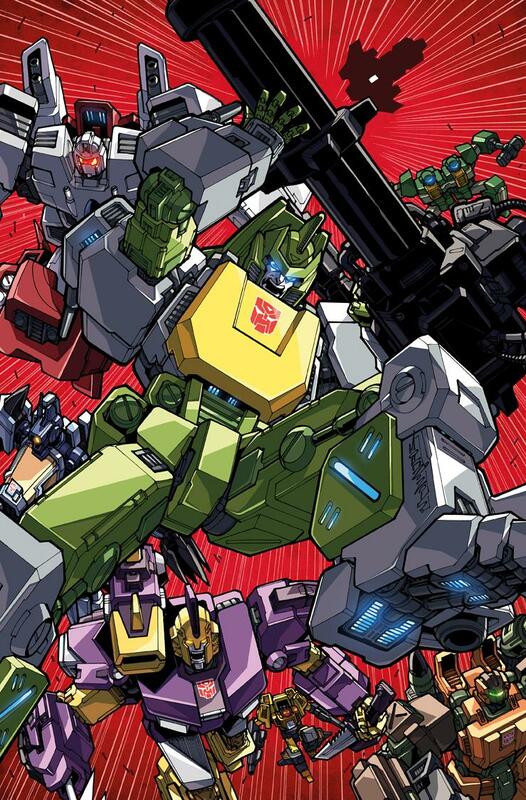 We have two listings to add to our wish lists, those being: Transformers Volume 9 – July 6, 2016 release Transformers: Sins of the Wreckers – July 13, 2016 release We can predict that the Sins of the Wreckers trade will include the entire mini-series, maybe with some added art as well. Since Transformers volume 8 collects issues #42–45 of the ongoing Transformers series, we can assume volume 9 will pick up from there. Keep an eye out for preorder » Continue Reading. The post Transformers Vol 9 and Sins of the Wreckers Trade Preorders appeared first on Transformer World 2005 - TFW2005.COM. TFW2005 boards member LazyAza has just dropped by with a reveal of a new Mastermind Creations product – an unofficial version of Obsidian! Inspired by his Beast Machines incarnation, Obsidian (who we don’t know MMC’s name for as of yet) will of course be the perfect partner for MMC’s upcoming Titanika, their unofficial Strika figure. Check it out after the break, and let us know your thoughts on getting updated versions of Beast Machines’ popular Vehicon general duo on the boards! The post Mastermind Creations Unofficial Obsidian Revealed appeared first on Transformer World 2005 - TFW2005.COM. Thanks to BotTalk.com, we now have our first (blurry) looks at some up upcoming Titans Returns figures – those being Scourge, Chromedome, Mindwipe, and Alpha Trion. The images are unfortunately not of the best quality, so hopefully we’ll be seeing some better ones soon – very possibly at New York Toy Fair. Stay tuned to TFW as we bring you all the updates on these new figures. 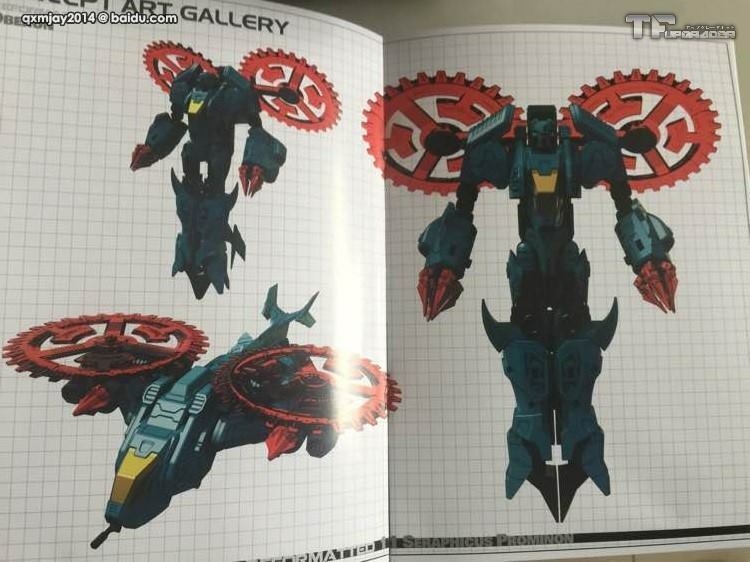 The post First Look at Titans Return Scourge, Chromedome, Mindwipe, & Alpha Trion appeared first on Transformer World 2005 - TFW2005.COM. TFYuki has just a posted a new image of the upcoming Takara Legends Skids on his Twitter, showing off the figure’s robot and vehicle modes. Skids features many added paint apps to make him much more accurate to his IDW More than Meets the Eye depiction. Check it out after the jump! 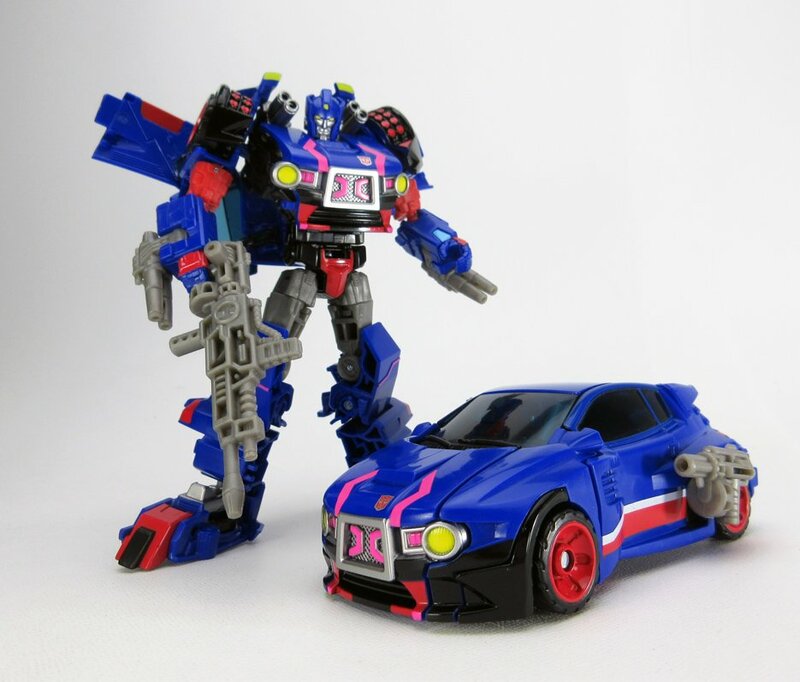 The post New Image of Takara Legends Skids appeared first on Transformer World 2005 - TFW2005.COM. With special thanks to Hasbro Germany, we have received a Press Kit highlighting some of the Hasbro related content from Nuremberg Toy Fair 2016. The press release in German and we had to use Google Translator to get some info in English. However, we do believe our German speaking members will help out your bothers to get a better translation. Highlights: Transformers: Robots In Disguise Gigawatt Optimus Prime Transforms in 7 Steps Mini-Con interacts with Optimus Prime Lights and Sound Flight sounds when moving Attachable wings and laser guns Transformers: Robots In Disguise Minicon Battle Pack Converts to numerous equipment. » Continue Reading. The post Nuremberg Toy Fair 2016 – Hasbro Official Press Release appeared first on Transformer World 2005 - TFW2005.COM. Toy Fair Season is now officially in play. Following the conclusion of UK Toy Fair yesterday (which Hasbro did not attend), we now move to Germany for the Spielwarenmesse Nürnberg Toy Fair 2016. According to reports, Hasbro occupies one of the largest floor spaces available at Nuremberg with many of its franchise brands on display. Visitors will get the chance to see upcoming products for the Transformers, Nerf, Play-Doh, My Little Pony, Monopoly and many others Hasbro brands. The company was tight-lipped about the products that will be revealed during the fair. Authorized visitors can visit HALL 12.0 / » Continue Reading. The post Spielwarenmesse Nuremberg Toy Fair 2016 Is Now Open appeared first on Transformer World 2005 - TFW2005.COM. iTunes has just uploaded their brief preview for the upcoming Transformers: More than Meets the Eye #49: “Transformers: More Than Meets the Eye #49 SHUTDOWN! A vengeful god stalks the corridors of the Lost Light, murdering everyone who makes eye contact. The crew must answer two questions: Why have they been singled out for punishment? And how do you stop someone who can kill you just by thinking about it?” Check it out if you don’t mind potential spoilers, and be sure to pick up the full issue when it’s released on February 10th! The post Transformers: More than Meets the Eye #49 iTunes Preview appeared first on Transformer World 2005 - TFW2005.COM. 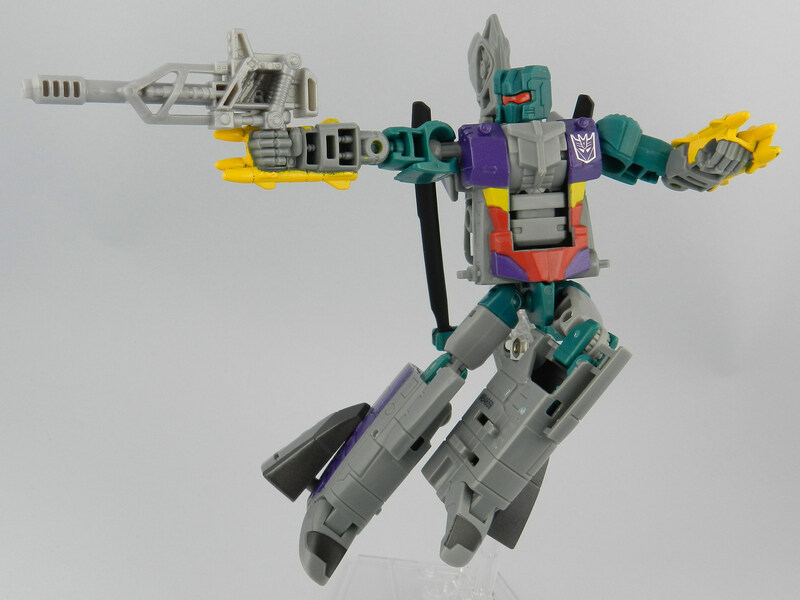 The next Combaticon to get the TFW2005 gallery treatment is the slick interrogator of the Combaticons, Vortex! Combiner Wars Vortex, like fellow Combaticon Blast Off, is a straight-up redeco of a toy that went before – in this case, Combiner Wars Alpha Bravo. Unlike Blast Off, this makes sense and some have observed that the mold was always intended to be Vortex, and there is some truth in this. A lot of details, from the head, to the positioning of the arms on the sides of the vehicle to resemble the weapons of the original, all recall Generation 1 » Continue Reading. The post Combiner Wars Vortex In-Hand Gallery appeared first on Transformer World 2005 - TFW2005.COM. 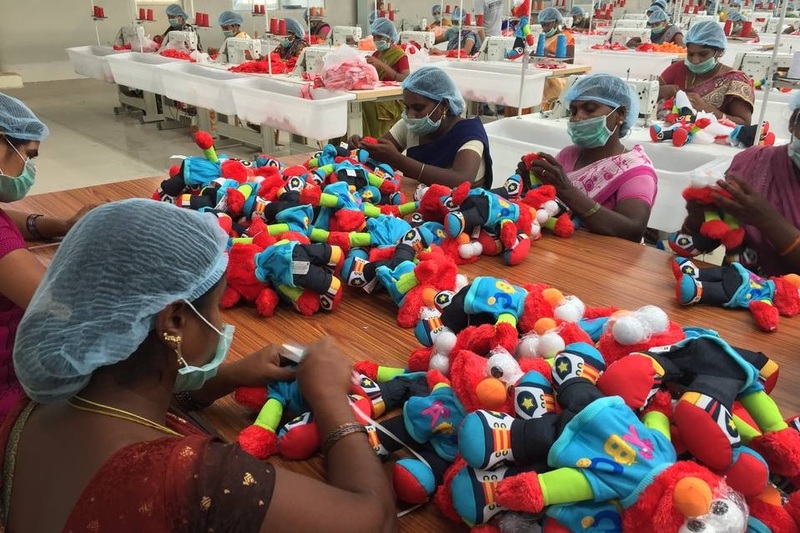 Collectors of the My Little Pony: Friendship Is Magic toyline were surprised to findout that their toys now carried “Made In India” instead of the usual “Made In China” or “Made In Vietnam”. Following a tip from Steevy Maximus of our sister site HISSTANK, the staff of TFW2005 dug into this new development to find out more. Sure enough in an article published on The Wall Street Journal dating January 6th, Hasbro is indeed moving some of it’s toy manufacturing to India; including our beloved franchise Transformers. “John Leung, chairman of GFT Group Ltd., a manufacturer of Transformers, “Star » Continue Reading. The post Hasbro Transformers Toys To Be Manufactured In India appeared first on Transformer World 2005 - TFW2005.COM.